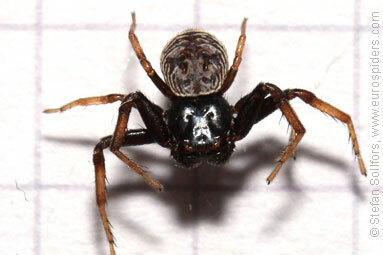 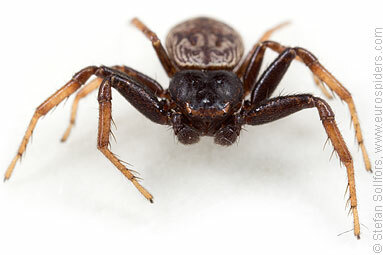 Male Coriarachne, head on view. 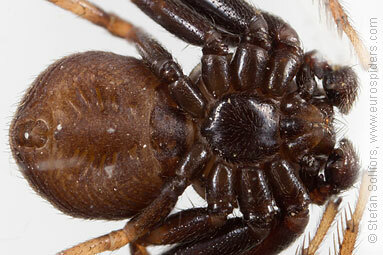 Male Coriarachne, close-up of body. 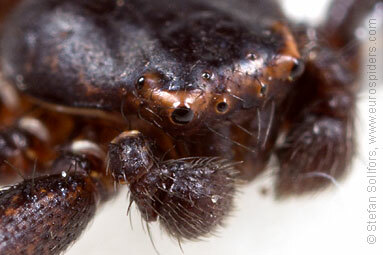 Male Coriarachne, close-up of the eyes and palp. 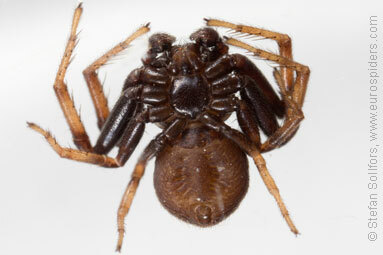 Male Coriarachne, close-up of body from below. 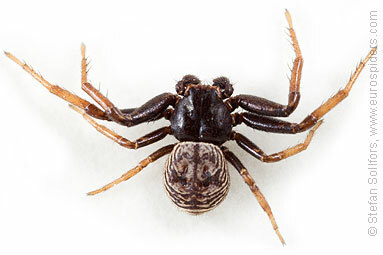 Male Coriarachne, between 4 and 5 mm long. 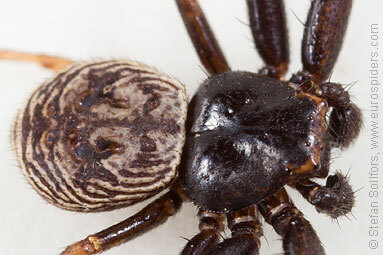 Compared to other Crab spiders, Coriarachne depressa has a really beautiful and unique pattern on the abdomen.